With three musicals running successfully (Zangoora, Jhumroo and Oye Balle Balle! 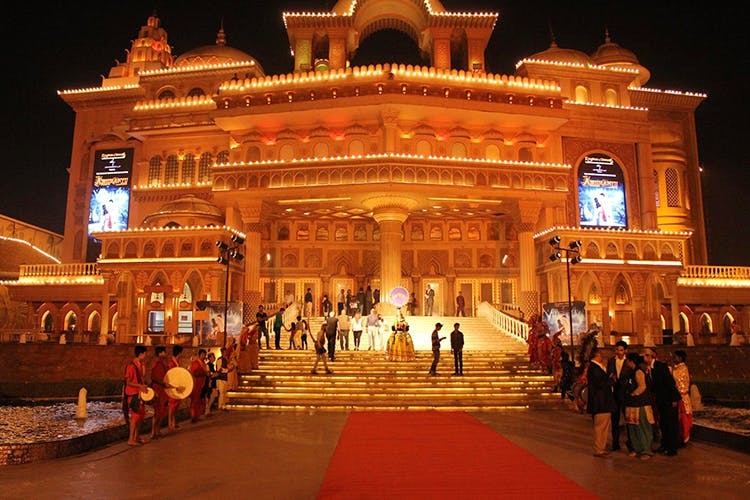 ), food from various states, apparel, accessories and a candy shop, Kingdom of Dreams is the ideal destination for a day trip. Made famous by its musicals (and for good reason), KOD plays its winning shows regularly. Be prepared for lots of stunts and tricks, projections on the wall, people in boats gliding above you, flames on the stage and more. With lots of dancing (Mamma Mia, anyone?) and vibrant costumes, this is the closest you’re going to get to Broadway in Delhi. Although Jhumroo didn’t wow us as much as Zangoora did, you’ll probably feel differently if you’re a Kishore Kumar fan. The newest one is Oye Balle Balle! which we hear is full of all the drama that's enfolds in a big fat Indian wedding, We're yet to check that one out though. And some regional food, when you make the trip. One of the first things you’ll notice once you enter KOD is the false sky looming above you; the realistic lighting makes it feel like you really are outdoors. Much like Dilli Haat, the space has a bunch of different outlets serving food from different regions around the country. Highlights include the Karimeen at the Kerala outlet, Prawn Malabar Dosa from the Tamil Nadu restaurant, and melt-in-the-mouth galoutis and tundays at the Lucknow stall. For a more laid-back experience with a couple of drinks, we hear the IIFA Café is a safe bet. There’s plenty of scope for entertainment within the premises even if you’re skipping their shows: Impromptu Kathak performances, folk dances, Rajasthani songs…you get our drift. For the shopaholics, there’s scope for great finds: Indian handlooms, gypsy skirts and jewellery (semi-precious and costume). PS: They also do private events so if you’re looking for an unusual wedding venue, KOD may just be your solution.